All religions have temples where people can gather together to contemplate on God and pray. The Sikh temple is called a Gurudwara. The word ‘Gurudwara’ means ‘Gateway to the Guru’. 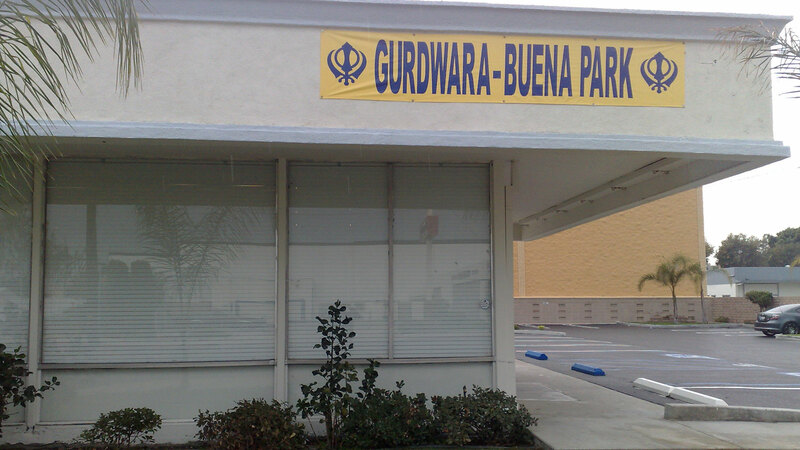 The Sikh Gurudwara Buena Park of Guru Nanak Sikh Society was founded in 2001 by Mr. Amarjit S Dhillon. Every person irrespective of creed, caste, religion, country is welcome here, anytime and every time without any membership fee or appointment. There are no restrictions on who may enter a Gurudwara for prayer. Sikh Temple services are held every Sunday from 10 AM to 2.30 PM and Thursday at 7 PM to 9 PM . Vegetarian food and tea with pakoras are served in gurudwara during services, absolutely free of cost called “LANGAR”. Here food is served to all people who sit together to enjoy a communal meal. It is a symbol of the Sikh belief in a non-sexist, non-racist society where all people of all casts, religions are equal and can share a common meal in the true spirit of unity. Sikhs believe in the rising stock of the human equity. Sikhs believe in the art of creating own stories and own relationships. We believe in the richness of reliability and trust; in the elegance of the helping hand. Sikhs believe in banking of time. We believe in rising together, in upholding the traditions of the village; in the innate dignity of communal success. Sikhs believe in celebration of harmony, understanding there are no throwaway people: that each of us is endowed with gifts and needs for services to exchange with purpose and kindness. Covered Head – Kindly cover your head while entering the main hall of the Sikh Temple. Rumala’s (cloth) are provided just outside in premises, in case one does not have. Covering head is for respect of our Sikh Holy Book (present guru of Sikhs known as Shri Guru Granth). Take Off Shoes – Everyone must take off his or her shoes at entrance of the Sikh Temple. Again, taking shoes off and washing feet serves two purposes, first is for the respect of the guru and second is for cleanliness. Prohibitions – One must not enter Gurudwara under influence or possession of any drug, cigarette, or liquor. Usage of any of these products is prohibited in Sikh Temple. Sikhism teaches Sikhs to live free of these substances.